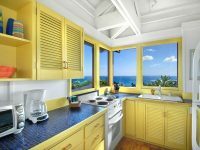 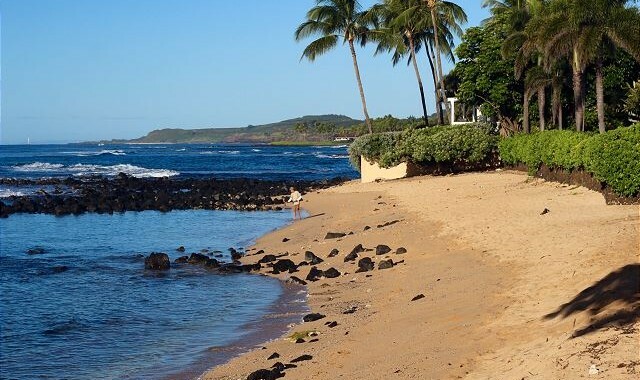 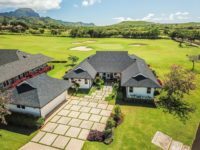 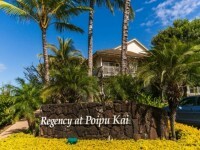 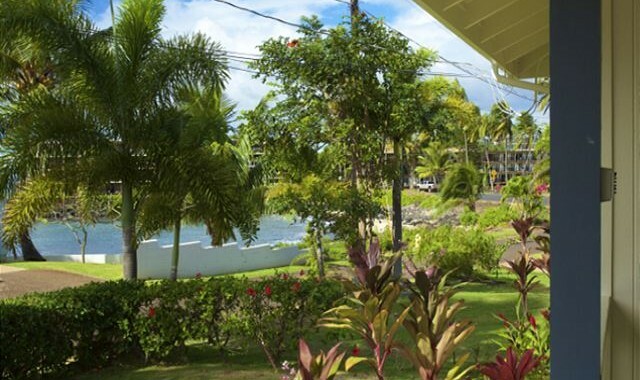 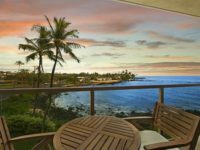 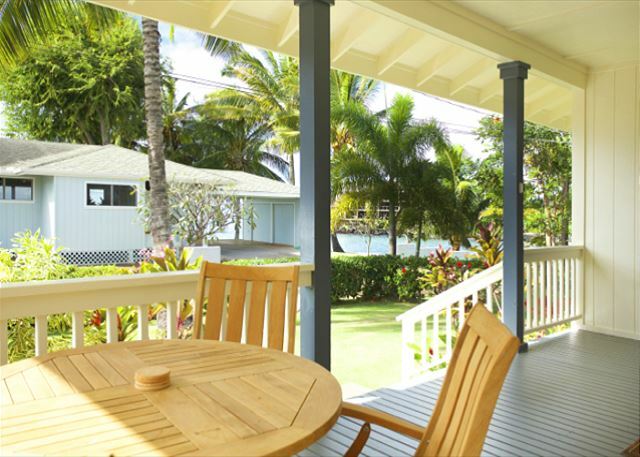 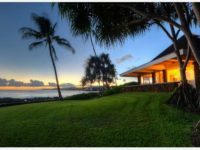 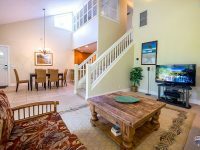 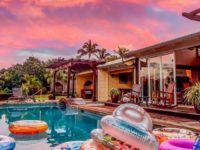 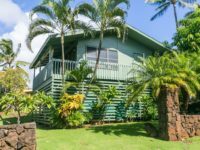 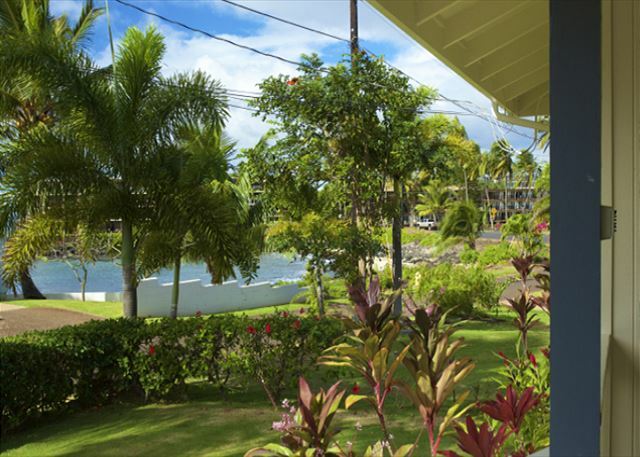 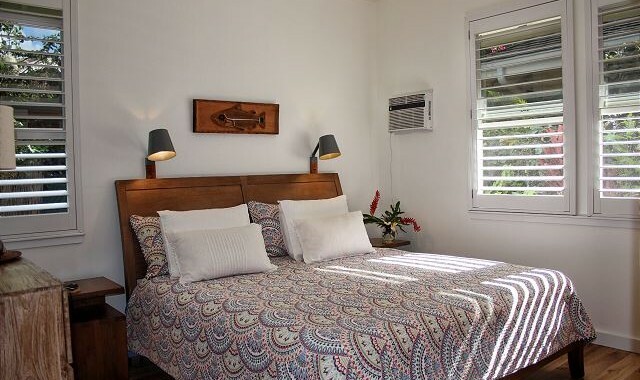 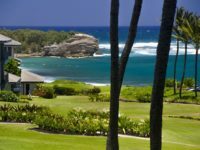 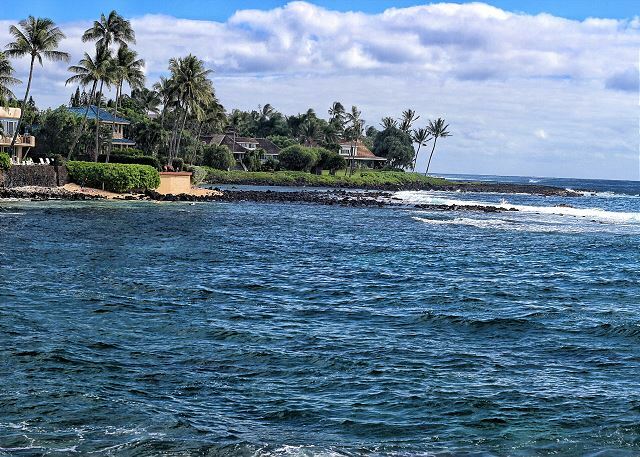 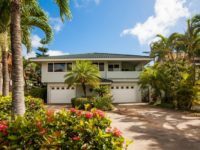 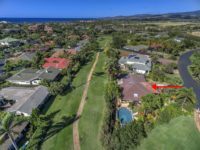 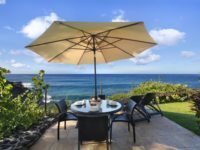 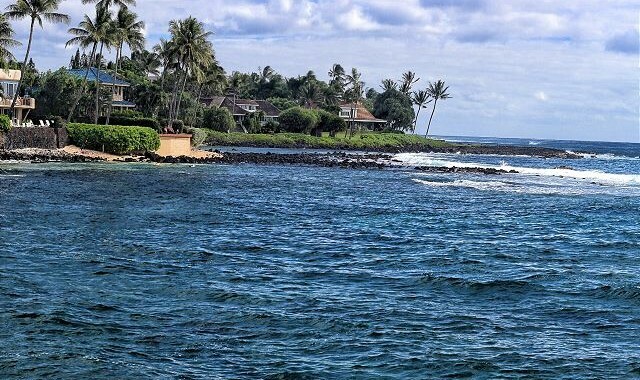 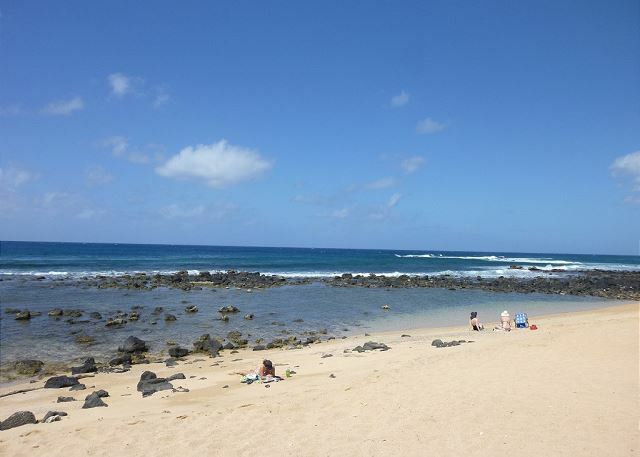 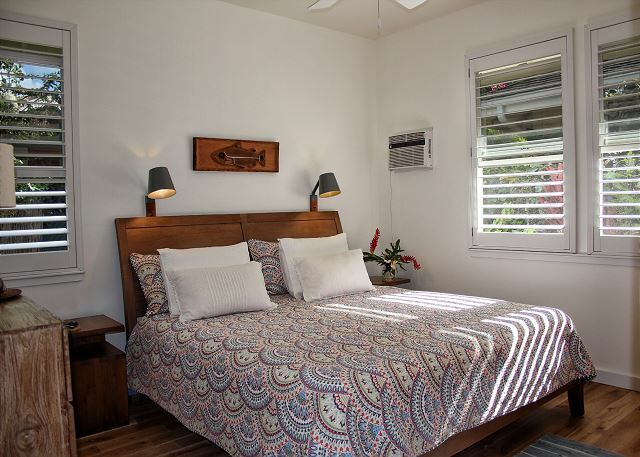 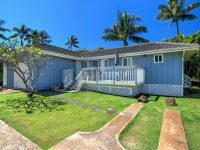 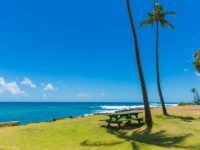 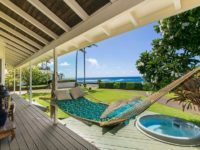 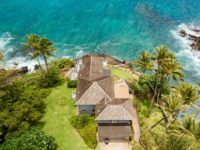 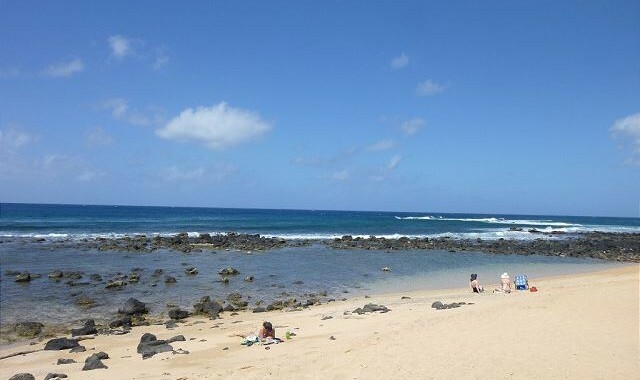 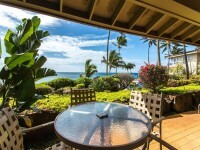 POIPU, KAUAI VACATION RENTAL: Located in a quiet Poipu residential neighborhood, fronted by Baby Beach, Ho’ona Hale is a two bedroom, one bathroom 1216 square foot home with unobstructed whitewater ocean views. 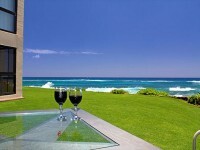 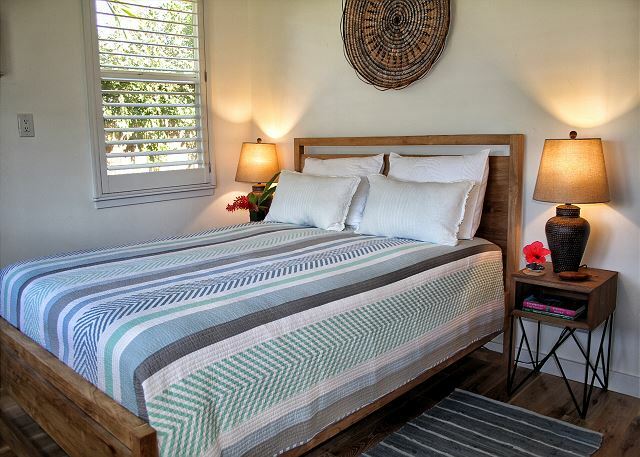 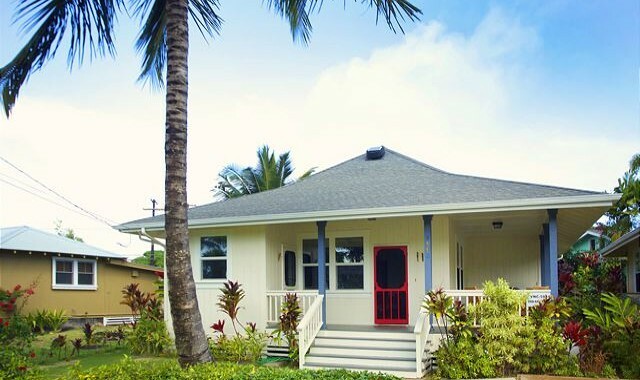 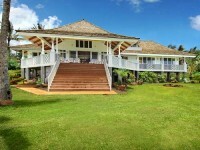 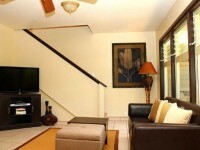 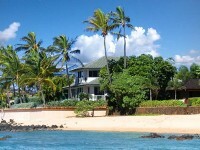 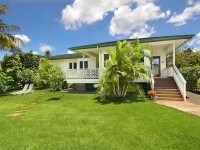 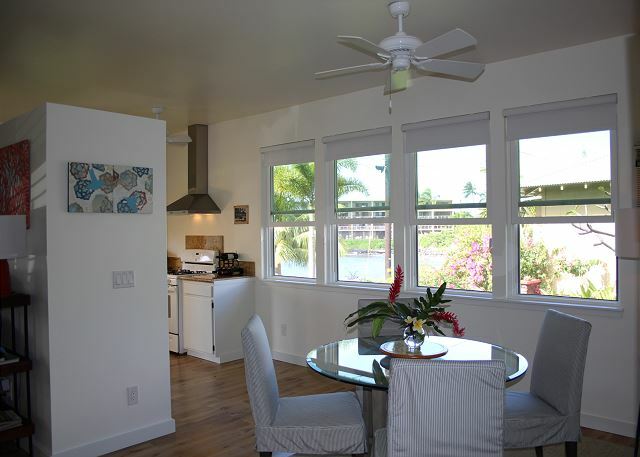 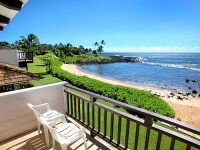 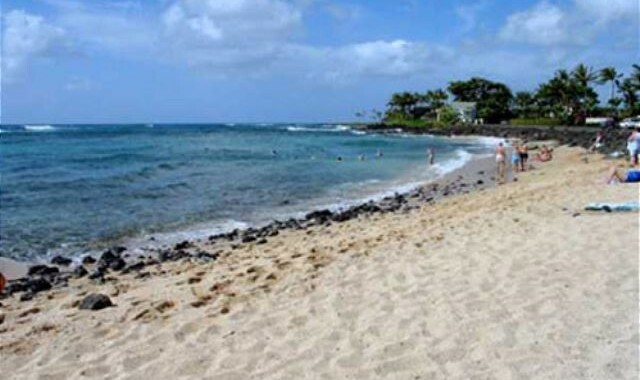 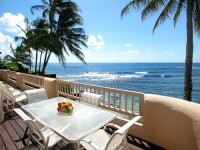 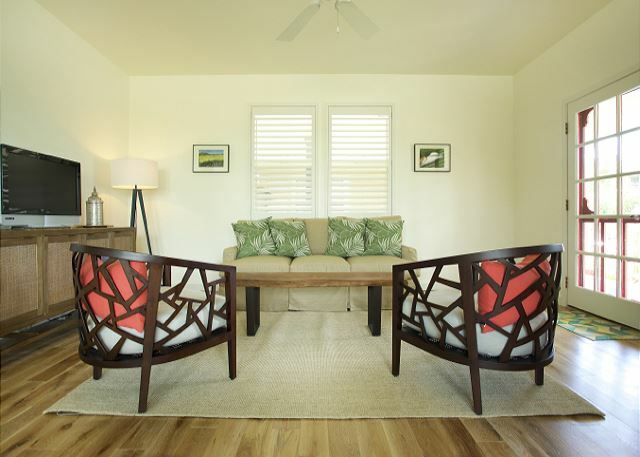 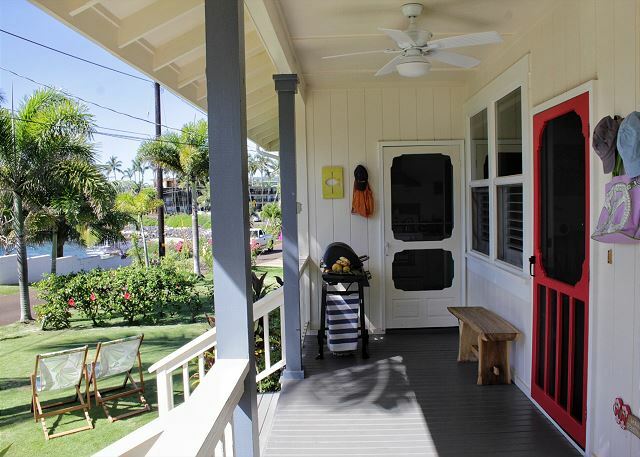 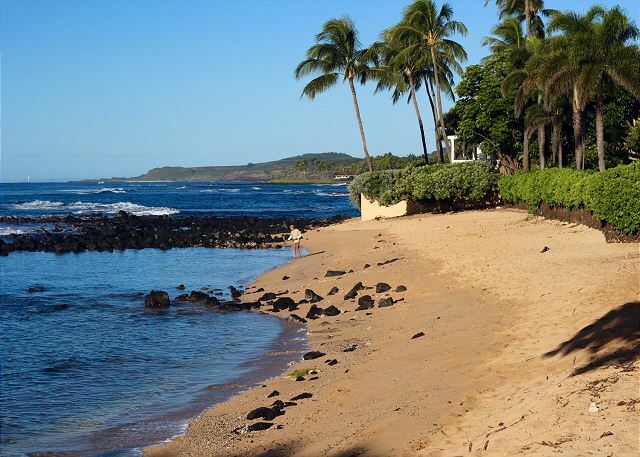 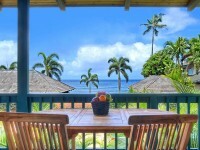 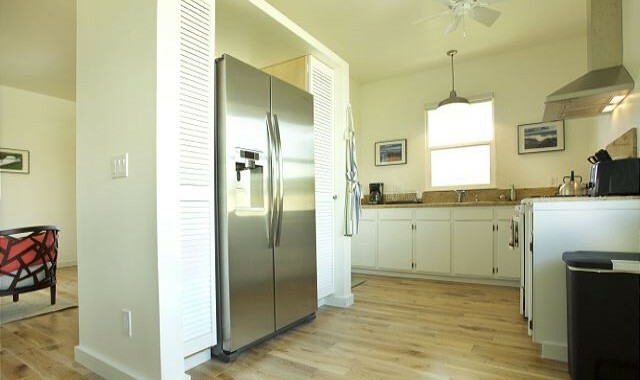 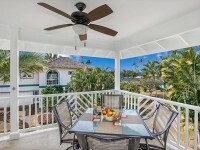 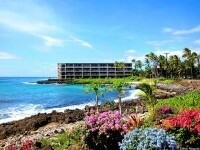 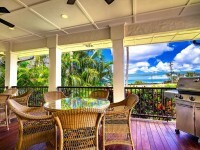 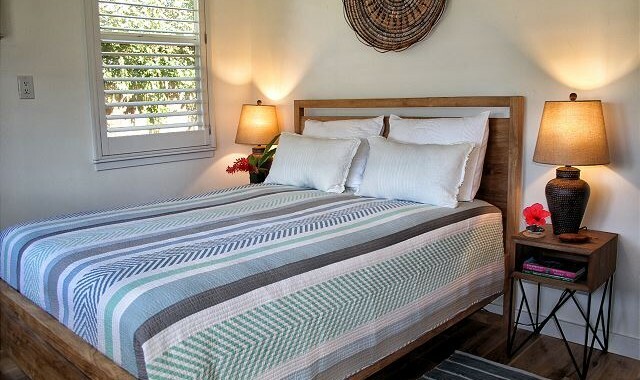 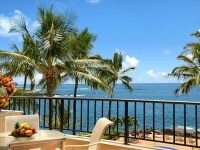 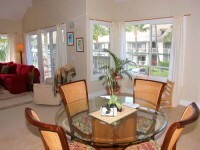 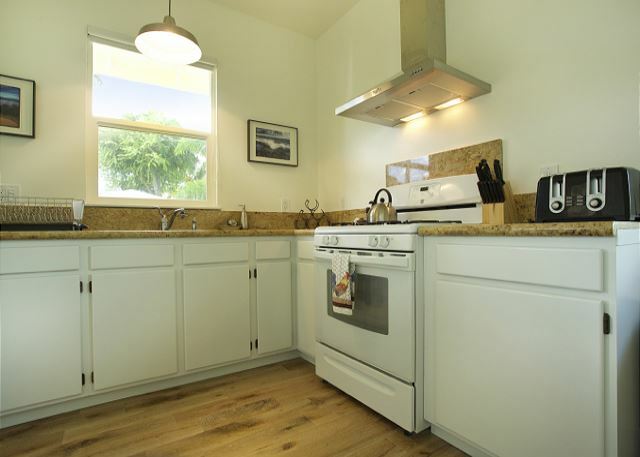 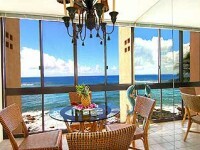 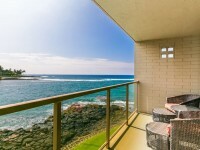 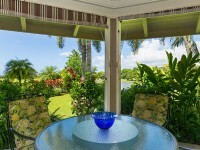 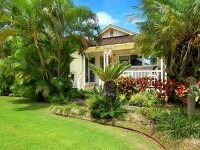 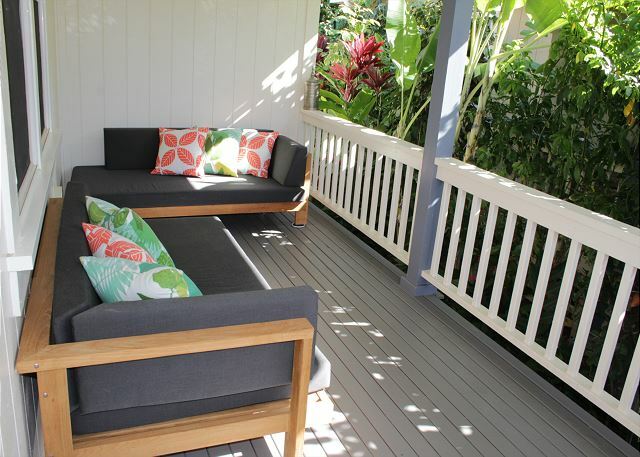 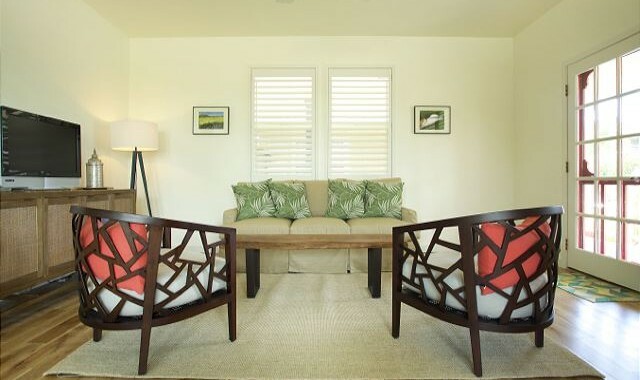 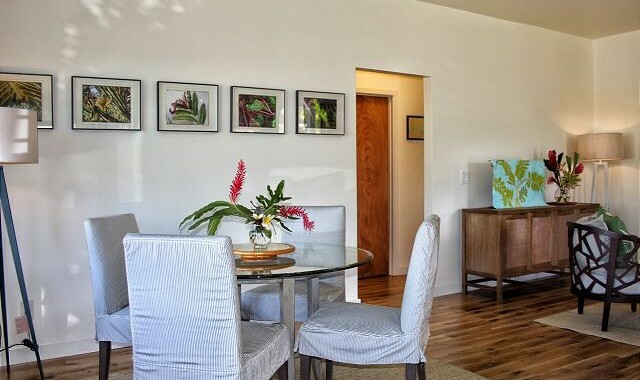 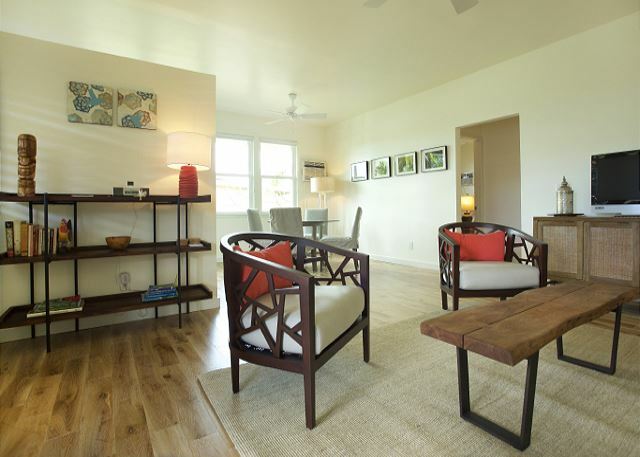 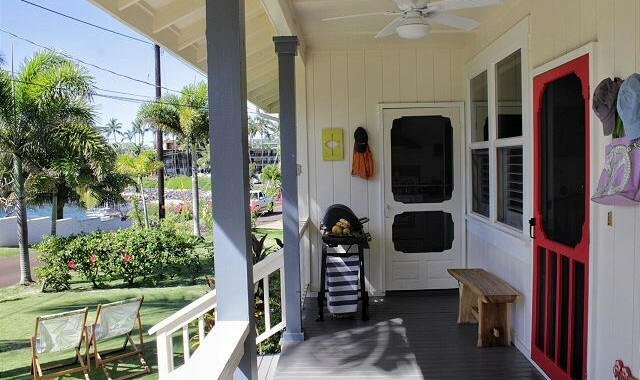 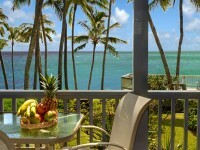 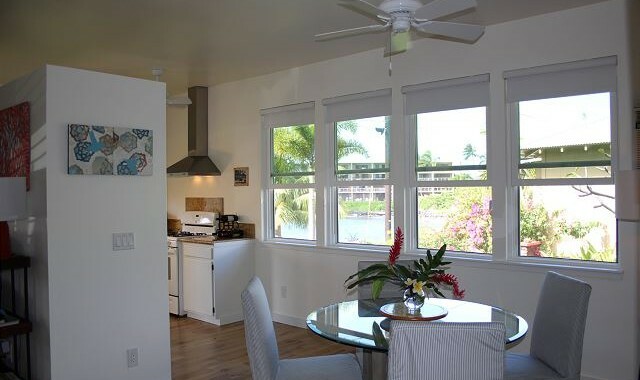 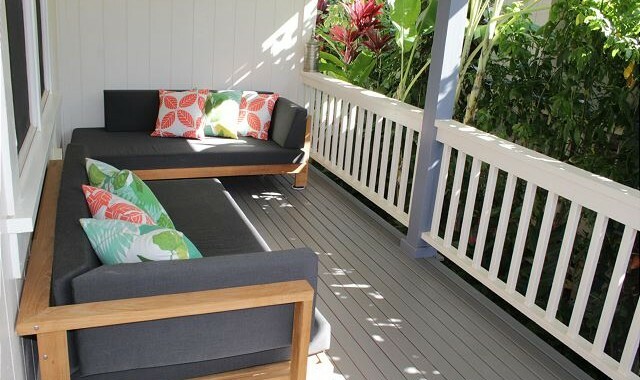 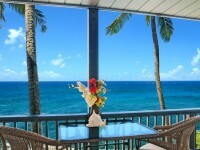 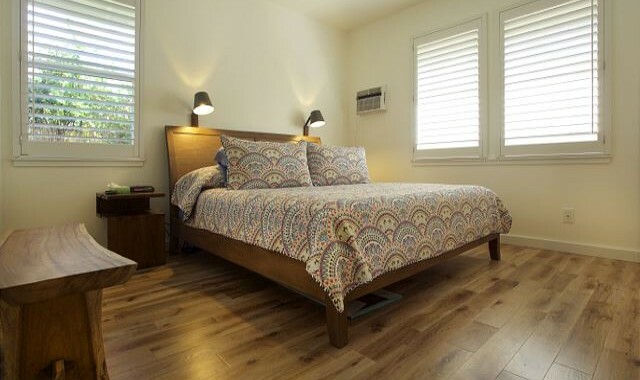 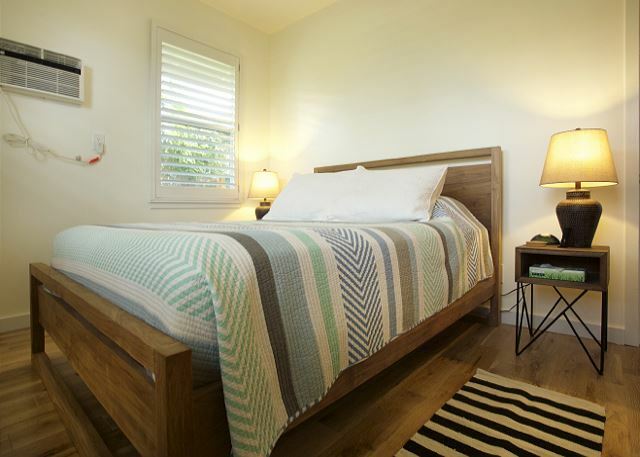 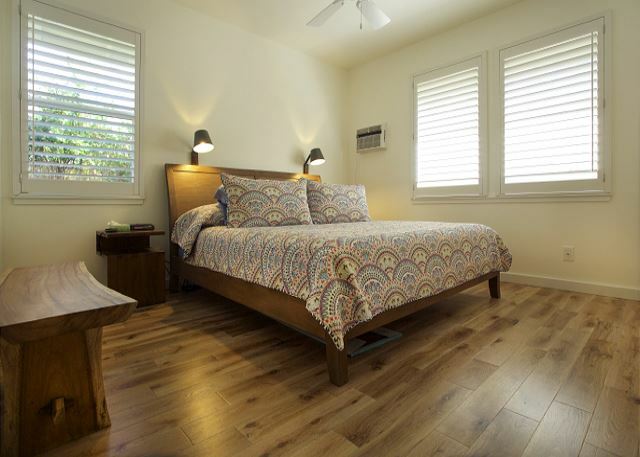 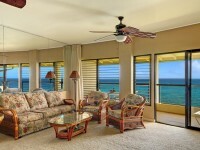 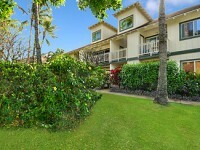 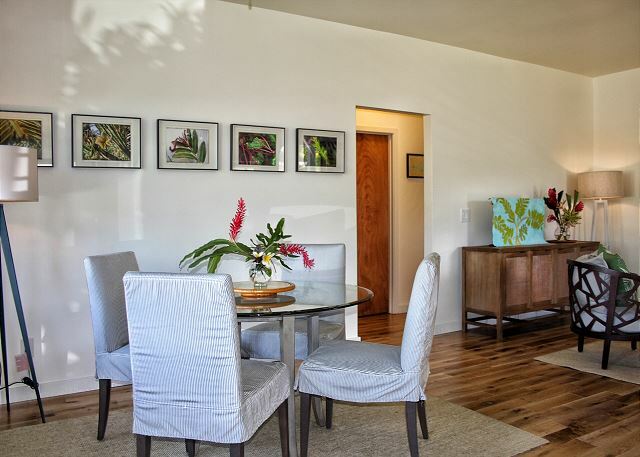 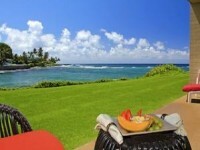 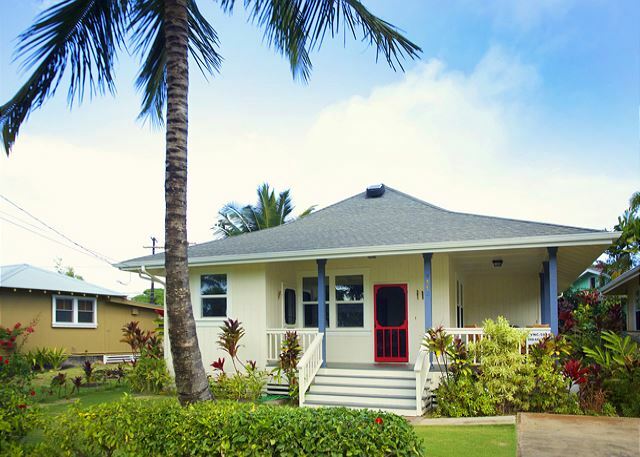 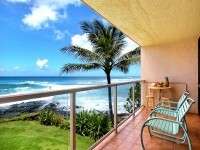 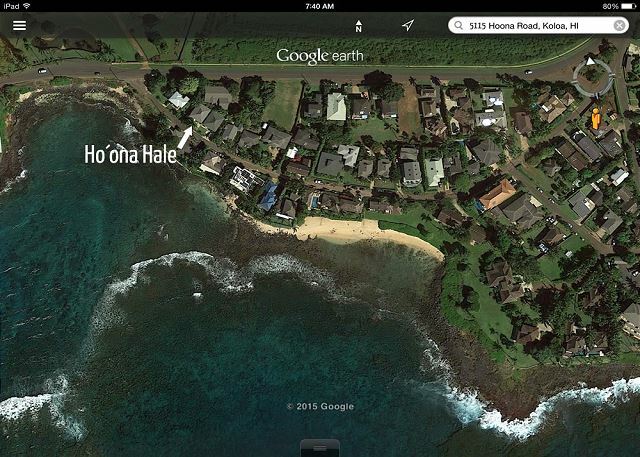 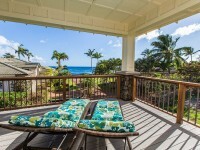 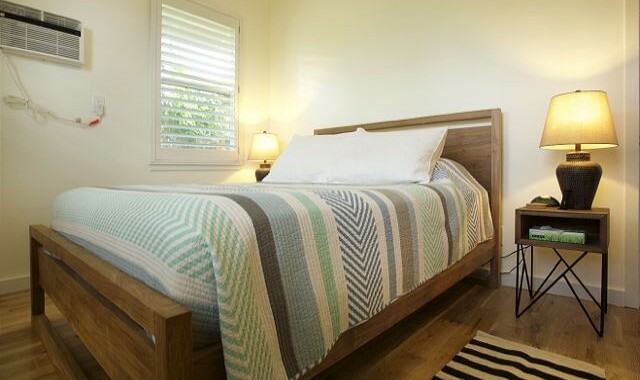 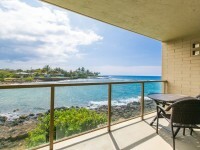 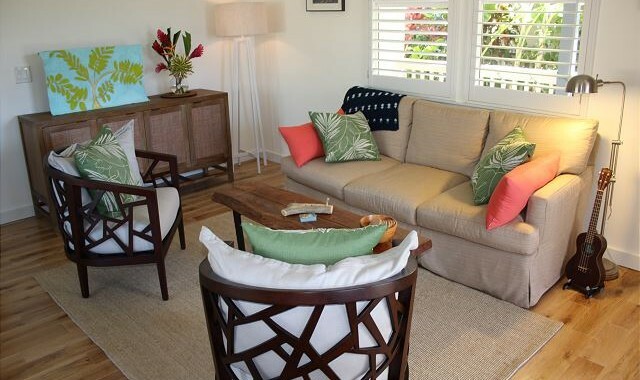 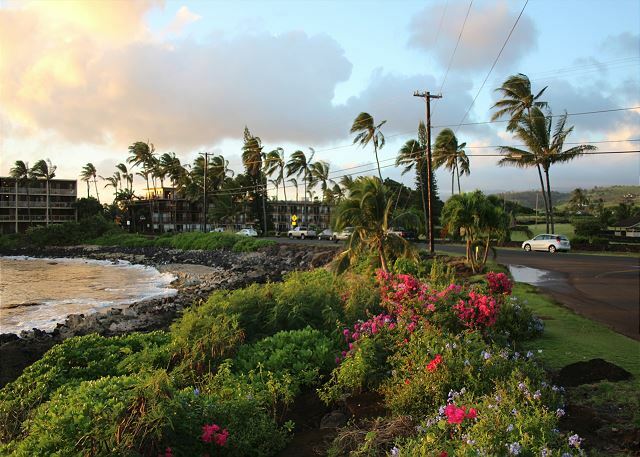 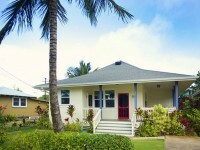 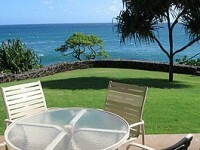 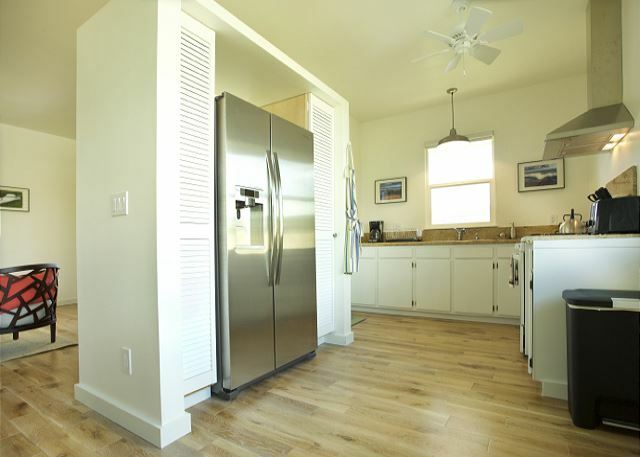 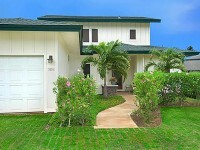 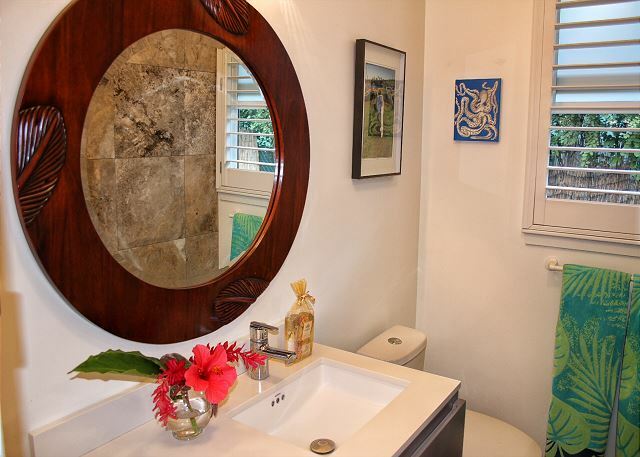 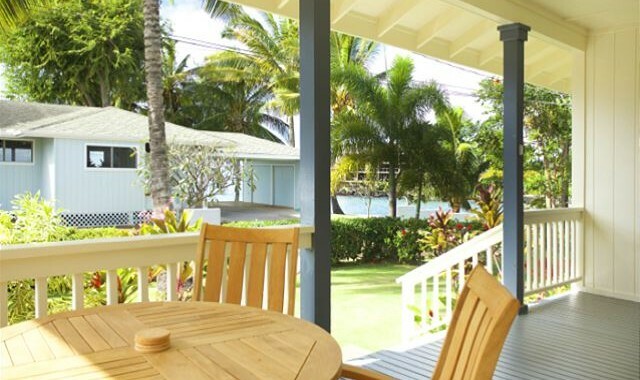 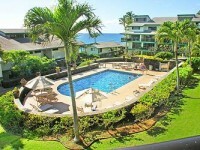 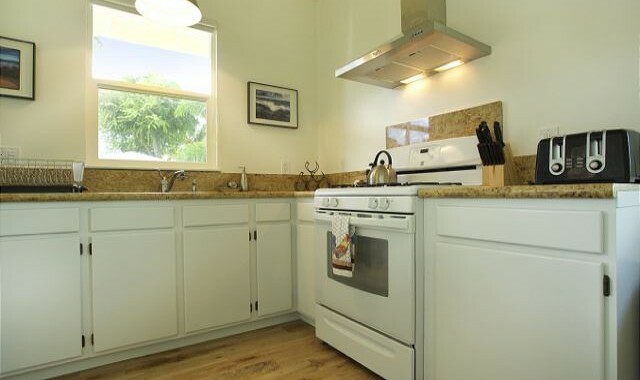 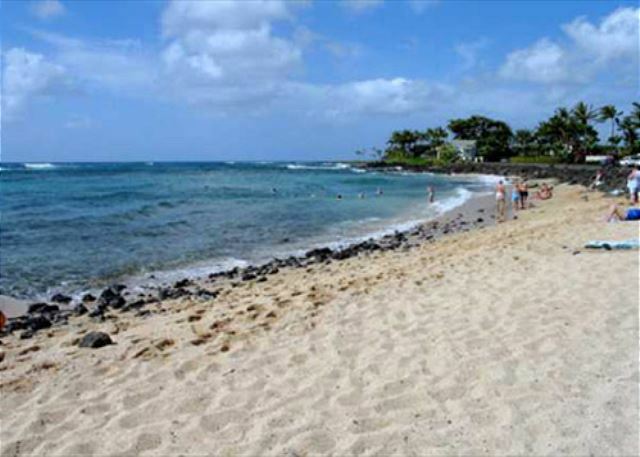 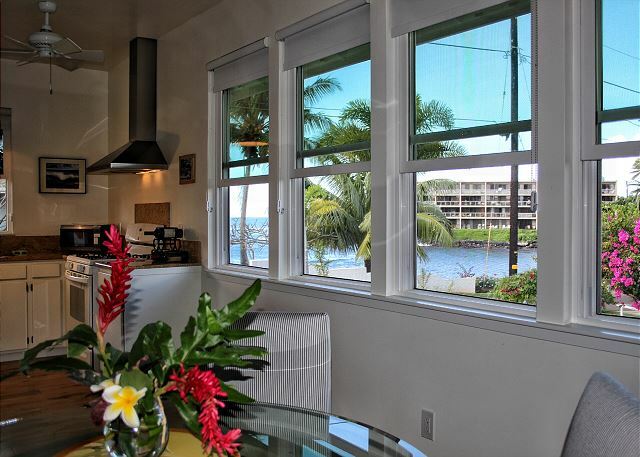 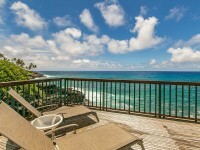 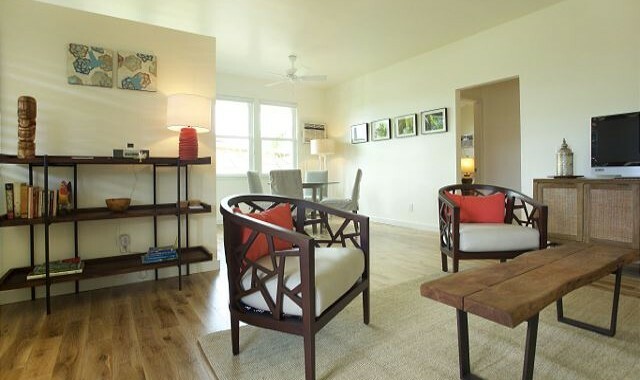 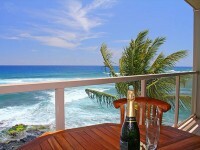 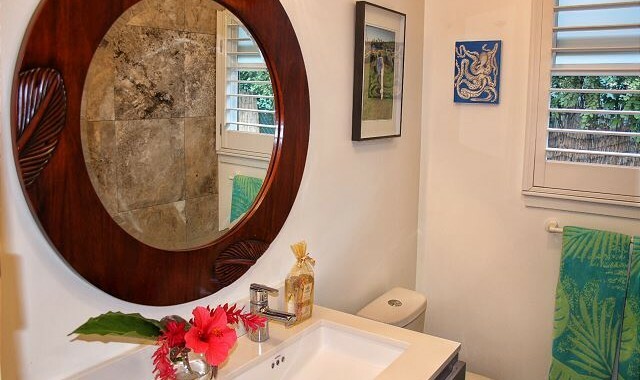 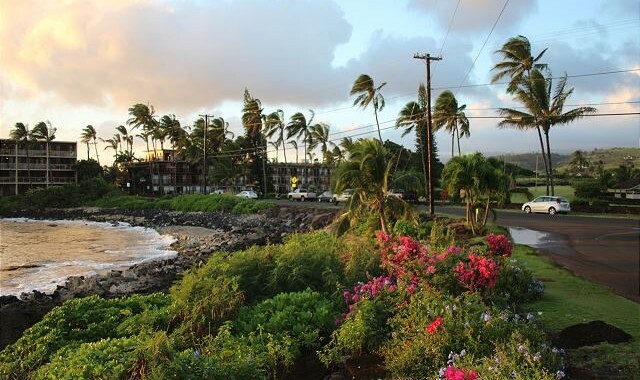 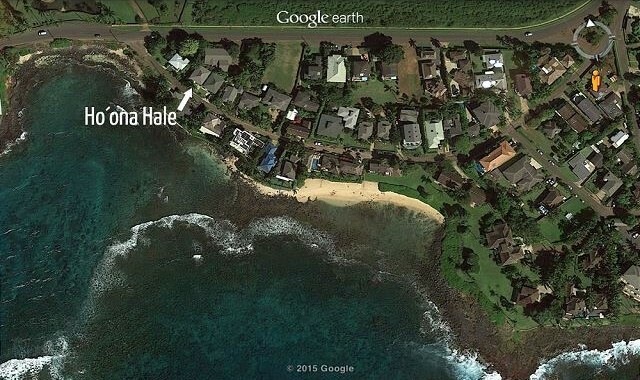 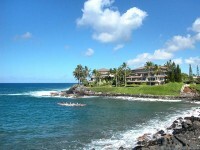 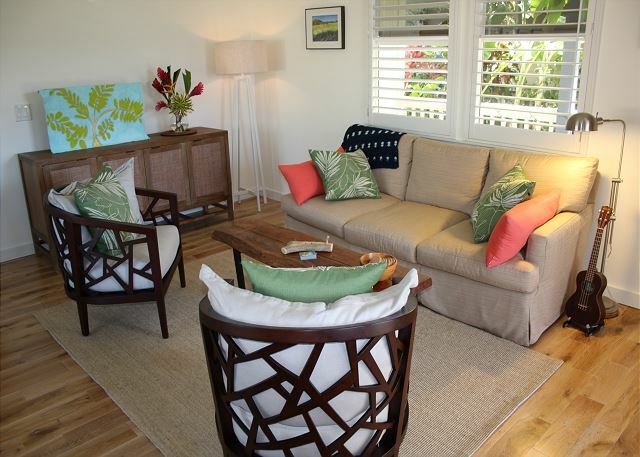 Ho’ona Hale’s new owners love their delightful Poipu beach cottage which has been tastefully upgraded (including AC!). 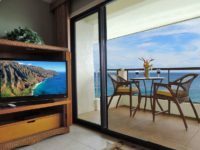 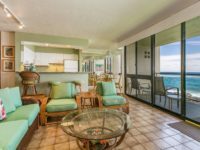 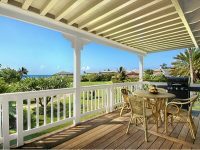 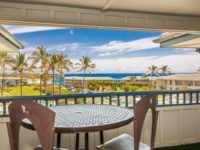 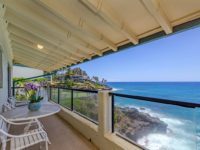 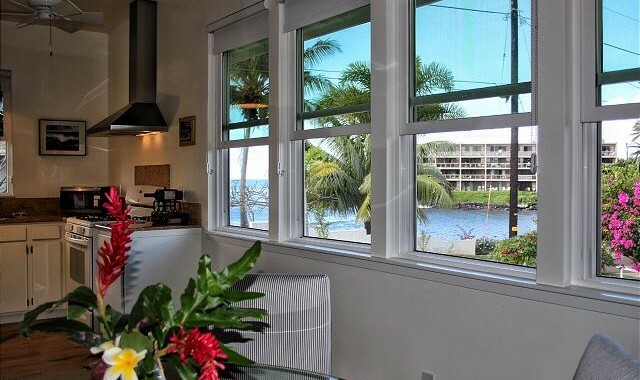 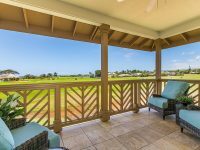 From the lovely covered lanai one can savor the white water ocean views, whether it be in the gentle morning light, vibrant sunset or awash in moonlight. 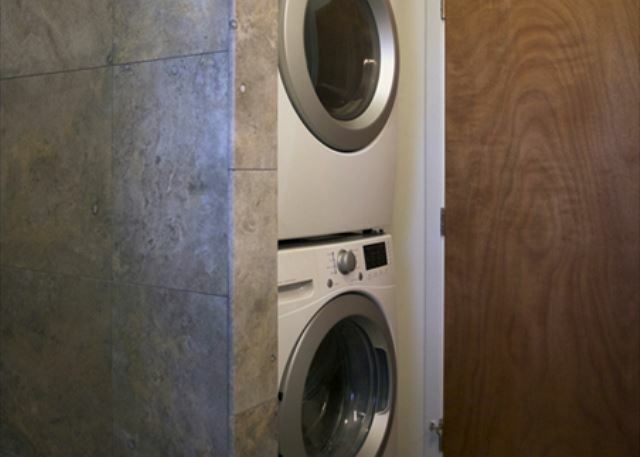 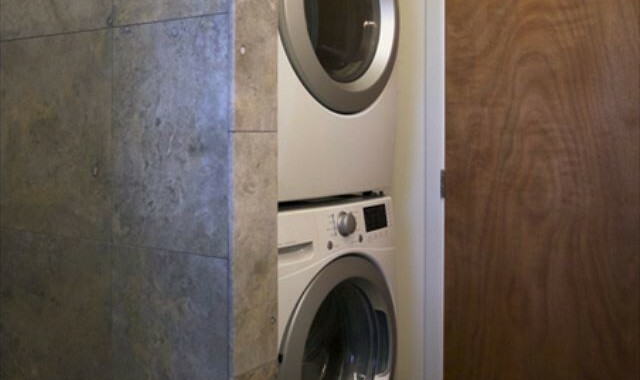 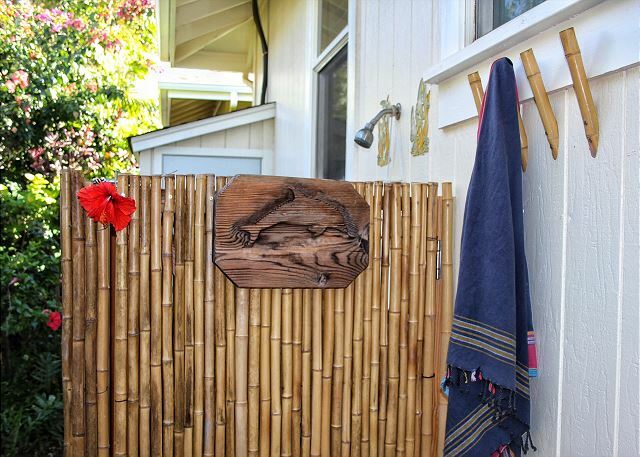 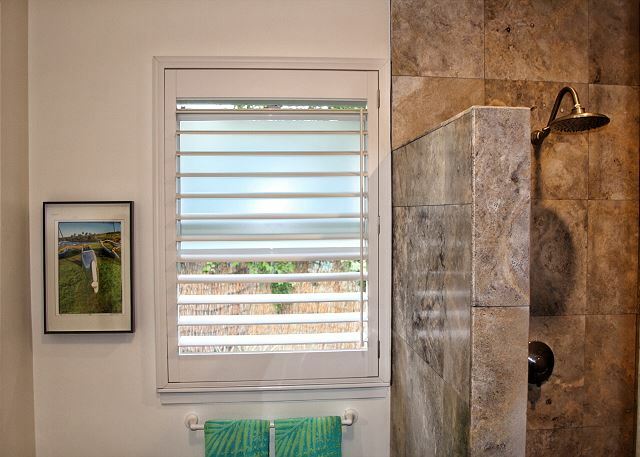 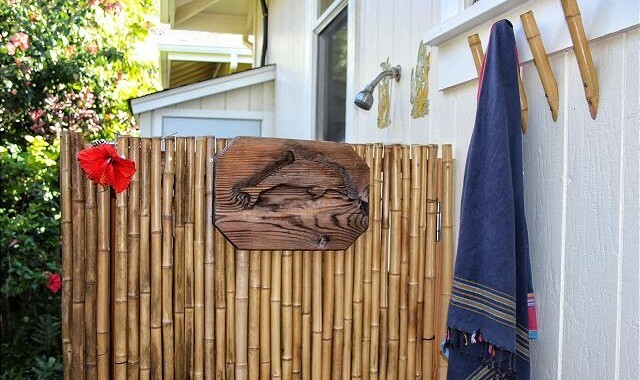 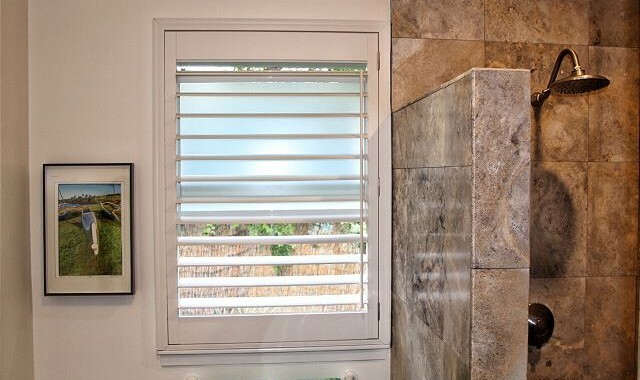 The property has an outdoor, enclosed Bamboo shower.